President Richard Nixon and his National Security Adviser Henry Kissinger had only one question for the United States chief of army staff who had just returned from India: how long will it take the Indians to liberate East Pakistan? General William C Westmoreland, who was shown around the garrisons in West Bengal and elsewhere in the country by his Indian counterpart General Sam Manekshaw, did not hesitate: ''one-and-a-half months to two months, sir,'' he replied. The conflict ended in only 13 days giving birth to Bangladesh and upsetting US calculations. ''What is it Sam that you did not show me,'' Gen Westmoreland, who got a thorough dressing down from Nixon, later asked the Indian war hero. Interestingly, the American general did not know that for Manekshaw, at that time it was only a thin line between getting promoted or being sacked. ''I have seen several angry women, including my wife. But never one like Mrs Gandhi,'' said the field marshal while releasing last evening in Delhi the book, Liberation and Beyond: Indo-Bangladesh relations , written by J N Dixit, former foreign secretary. It was the afternoon of April 29, 1971. Prime Minister Indira Gandhi had called an urgent cabinet meeting. Those present were Defence Minister Jagjivan Ram, Agriculture Minister Fakhruddin Ali Ahmed, Finance Minister Y B Chauhan, External Affairs Minister Sardar Swaran Singh, and a special invitee, army chief Gen. Sam Manekshaw. ''What are you doing?'' a fuming Mrs Gandhi asked the general, throwing reports of refugee influx from East Pakistan send by the West Bengal Chief Minister, Siddartha Shankar Ray, on the table, Manekshaw recalled. ''I want you to walk into East Pakistan,'' Mrs Gandhi told her army chief. ''That means war,'' the general said. ''I don't mind if it is war,'' was Mrs Gandhi's characteristic reply. Manekshaw was unruffled by the outburst. ''Have you read the bible?'' he asked the PM in his usual breezy manner. ''What has the bible got to do with this?'' Swaran Singh intervened. ''In the beginning there was darkness. God said let there be light and there was light. He then divided light from the darkness,'' Manekshaw quoted the Genesis to impress upon the ministers that the army was not prepared for a sudden war. ''I have only 30 tanks and two armoured divisions with me. The Himalayan passes will be opening anytime. What if the Chinese give an ultimatum? The rains will start now in East Pakistan. When it rains there the rivers become oceans. I guarantee 100 per cent defeat,'' Manekshaw told Mrs Gandhi, disapproving the idea of an immediate attack. Mrs Gandhi, who adjourned the meeting to 1600 hrs held back Manekshaw, who was the last man to leave the room. ''Shall I send in my resignation, on grounds of health, mental or physical?'' he asked. Mrs Gandhi finally gave her army chief the time he wanted to elaborate his strategy. Seven months and four days later the war began when Pakistan president Gen. Yahya Khan lost patience and ordered his forces to attack Indian troops near the border on the evening of August 3, 1971. Manekshaw had by then amassed two brigades within the border for going in the next day. Thirteen days later Bangladesh was born marking one of the high points in Indian diplomacy: in nine months the country was able to isolate the US, bring Western Europe on to our side and win over the world media. Manekshaw was at his evocative best when he recalled his acquaintance with President Yahya Khan when the latter had worked under him in the military operations directorate of the British Indian Army just before partition. Yahya Khan, then a colonel, was impressed by Manekshaw's James motorcycle which he had bought for Rs 1400. ''I told him that he could have the vehicle for as much. He said he would give only Rs 1000. 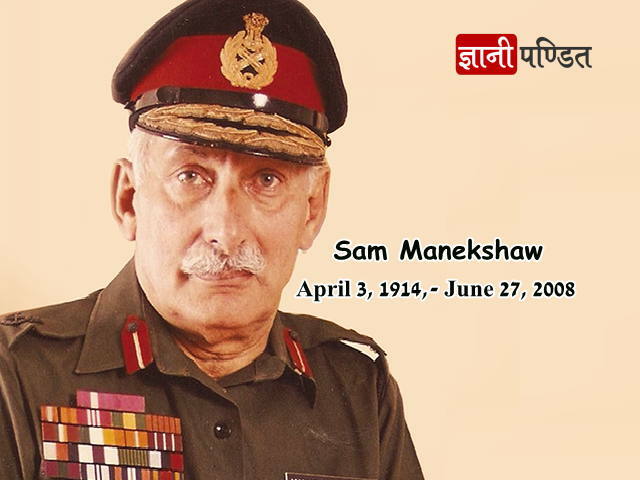 I said okay,'' Manekshaw recalled. ''But I don't have a thousand rupees now, I will send it to you later,'' Yahya Khan said. It was August 13, 1947. Twenty-one years later Yahya Khan became the president of Pakistan. ''I never received the Rs 1000, but he gave me the whole of East Pakistan,'' Manekshaw said amid thunderous applause. Liberation and Beyond, (pp. 317, Rs.395), published by Konark, captures the defining moment in the sub continent's history and deals with politics and diplomacy during the war and the task ahead. The blurb of the book says it also answers many questions often raised: why was the founder of Bangladesh, Sheikh Mujibur Rahman, keen that India should return Pakistani prisoners of war to Islamabad? Why did he not hold war crime trials against Pakistani military officers? Why did Indo-Bangladesh relations start deteriorating while Mujibur Rahman was still in power? Dixit, who headed the special division in the external affairs ministry to deal with the political dimensions of the East Pakistan crisis in 1971, was later sent by Mrs Gandhi as the first head of the Indian mission in newly-liberated Bangladesh.